Tip to tail cooking is no longer limited to terrestrial proteins. 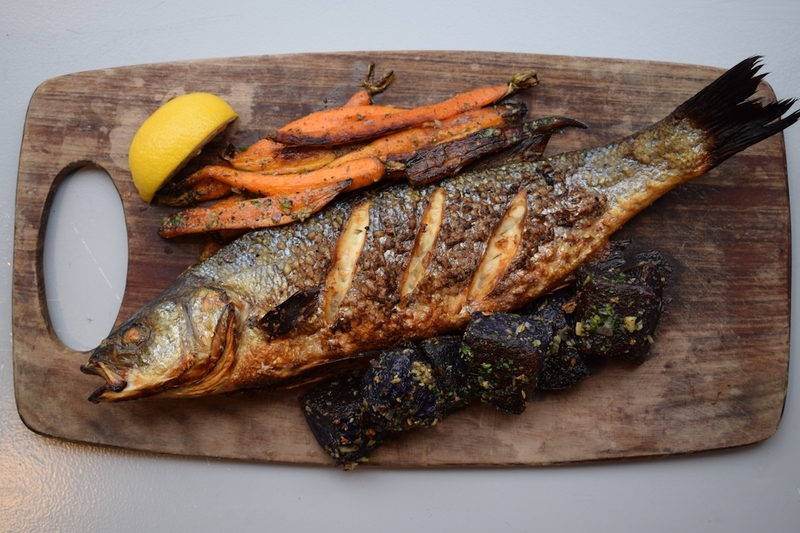 Chefs are now challenging diners to hook into whole fish, rather than simple filets. 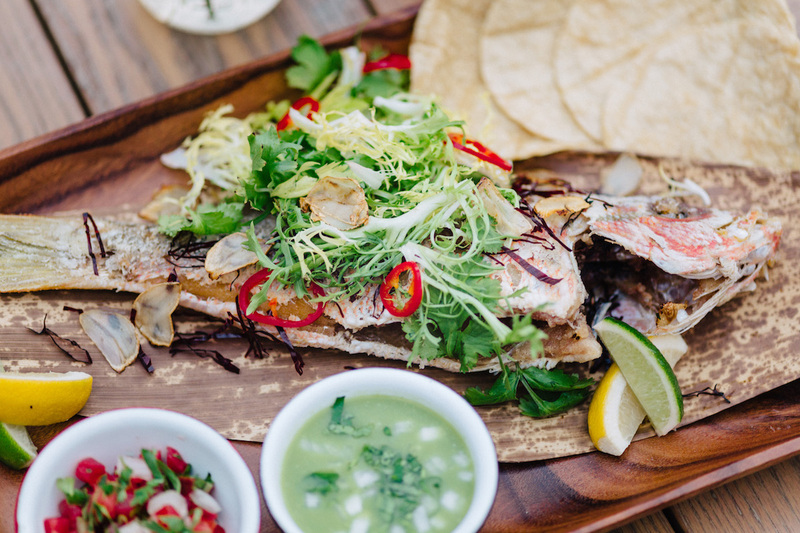 These 11 head-turning whole fish presentations are worth catching. Monterey Bay rock cod is lightly scored, marinated with citrus salsa, and grilled over almond wood. The results are a charred crispy skin and light flaky juicy flesh. It’s served with a salad of fresh raw shaved vegetables and herbs dressed with citrus vinaigrette. Make a reservation at Salt Wood Kitchen & Oysterette. 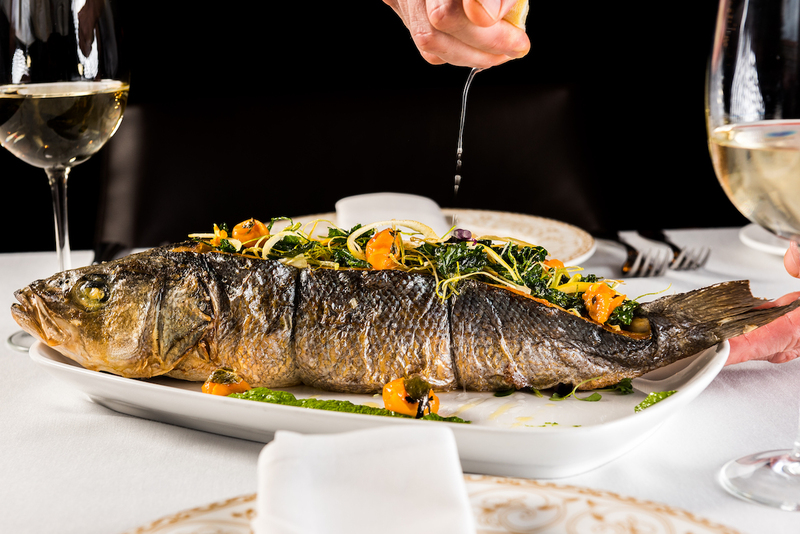 Say ciao to this beautiful branzino. Crusted in Sicilian salt, it’s dressed with lemon, olive oil, and rosemary. Simple and delicious, you’ll be saying addio to it in short order. Make a reservation at Il Buco Alimentari e Vineria. 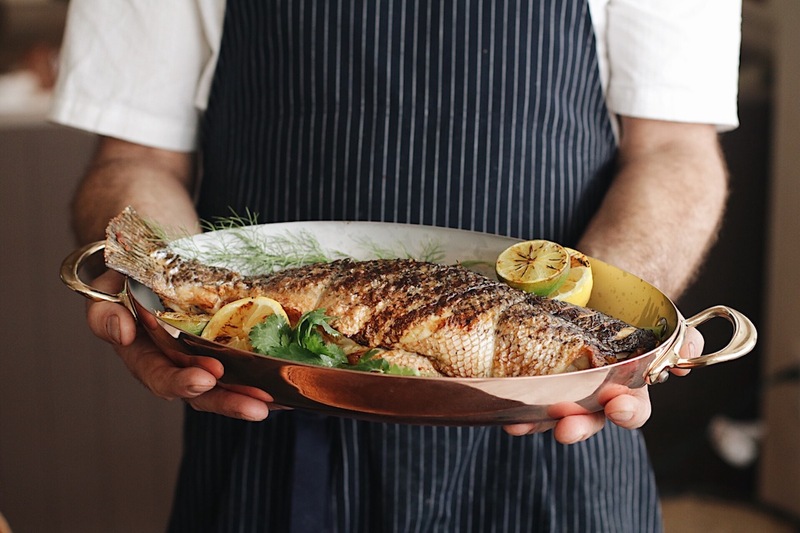 This roasted branzino fully embraces a front to fin philosophy. 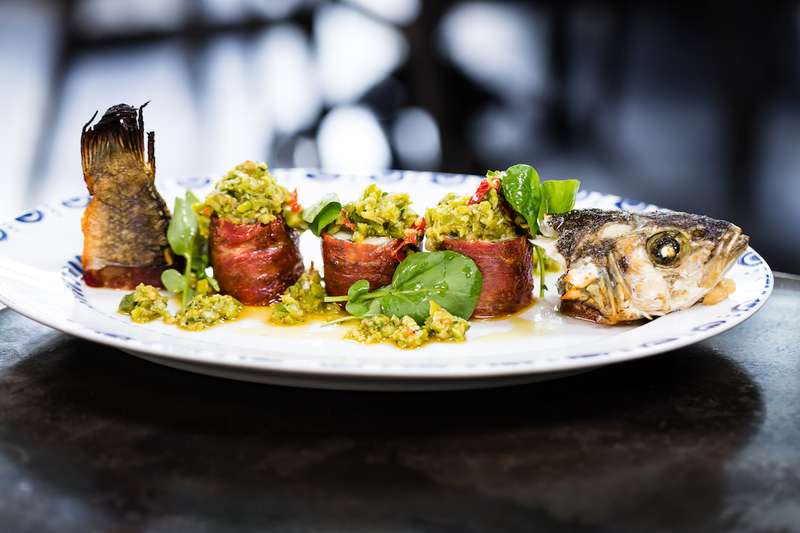 Its midsection is wrapped in speck, packed with lemon herb stuffing, and drizzled with olive-chili tapenade. Don’t forget to pick the meat off the head and tail, too. Make a reservation at Herb & Wood. Whatever fish is freshest is the star. Served with yellow curry, green garlic relish, and charred lemon, it makes for a pretty presentation. Taking an Instagram before you eat is practically mandatory. Make a reservation at Headwaters. 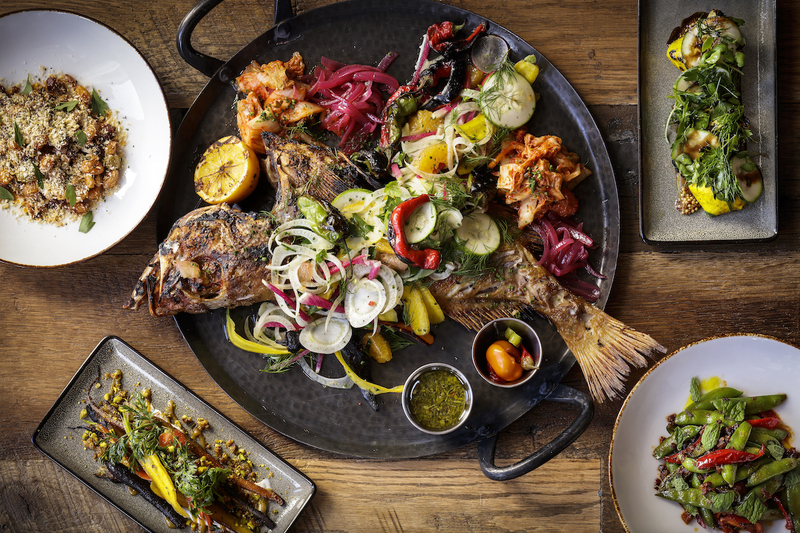 The whole Baja striped bass curls in on itself like a Fortune Teller Miracle Fish telling you that you’re passionate. 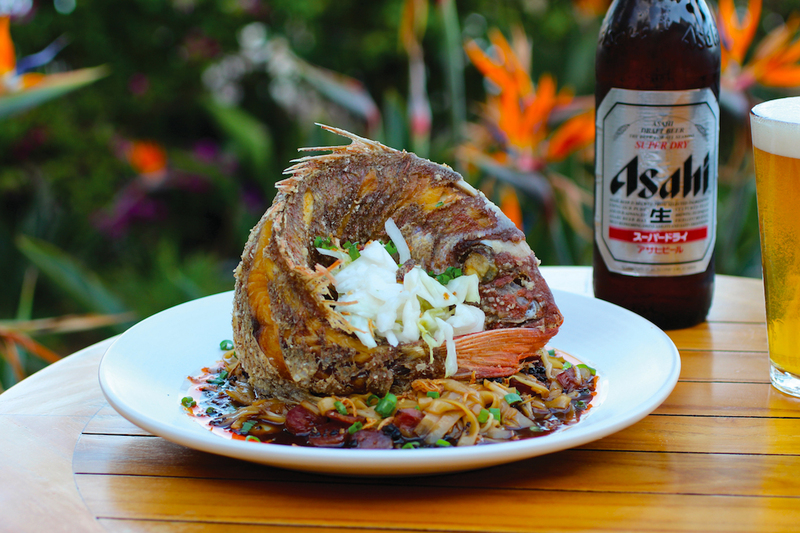 It sits in a pool of sweet and sour sauce complemented by fresh herbs and chili oil. Passionate indeed! 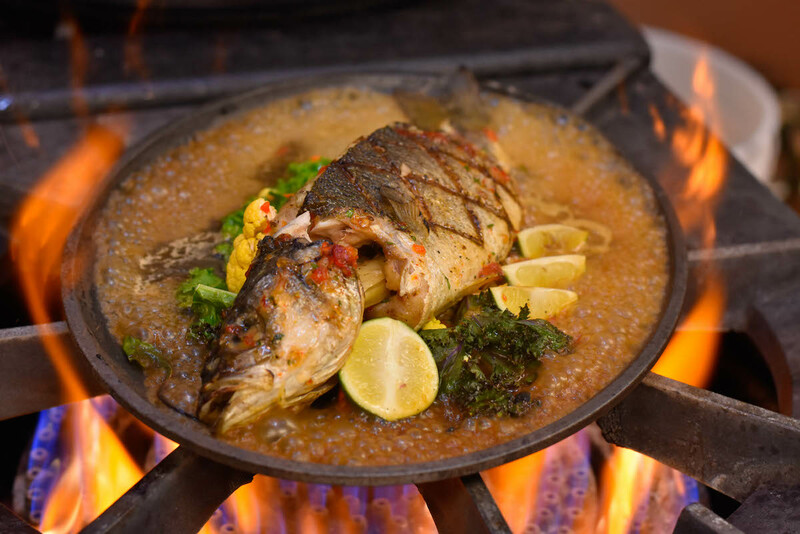 Make a reservation at Bashi at Terranea Resort. The catch of the day is lightly seasoned with salt and pepper, and then quickly grilled. The plate is filled out with rosemary and garlic roasted potatoes and baby carrots. #SimpleAndDelicious. Make a reservation at Hank’s Pasta Bar. One crispy whole snapper coming right up! The DIY tacos presentation arrives with chili garlic sauce, avocado, frisée salad, and fresh warm tortillas. Flake off the flesh and build the bite of your dreams. Make a reservation at Lolo’s Surf Cantina. 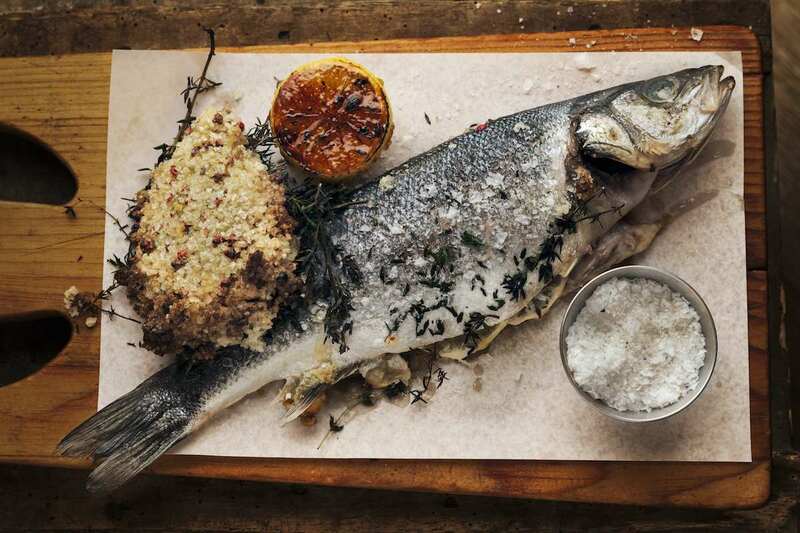 What makes a Mediterranean sea bass even better? Stuffing it with jumbo lump crab meat and shrimp, of course! It’s complemented grilled ramps and salsa verde. Make a reservation at Occidental. 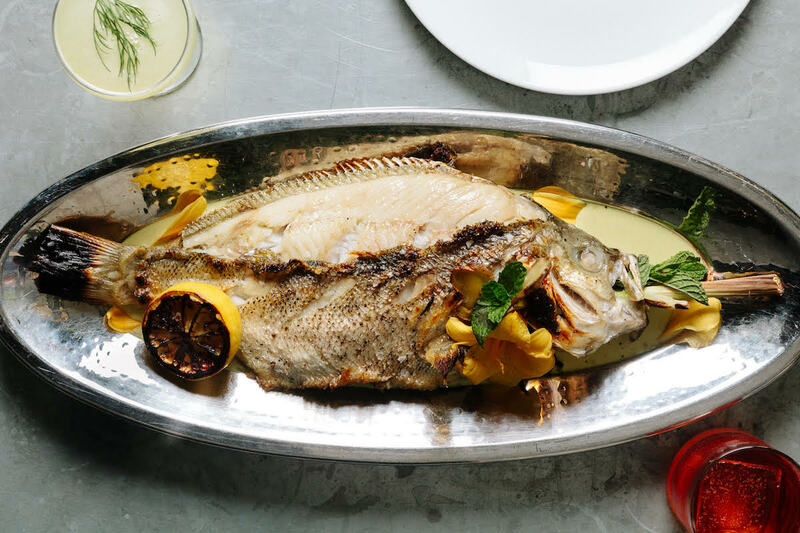 They don’t call this a sizzling whole branzino just to be hyperbolic. After getting grilled Caribbean-style, it heads to the sauté pan. There it’s cooked with a sweet chili gastrique and spring vegetables. Make a reservation at Left Bank. Take Taco Tuesdays to the next level. 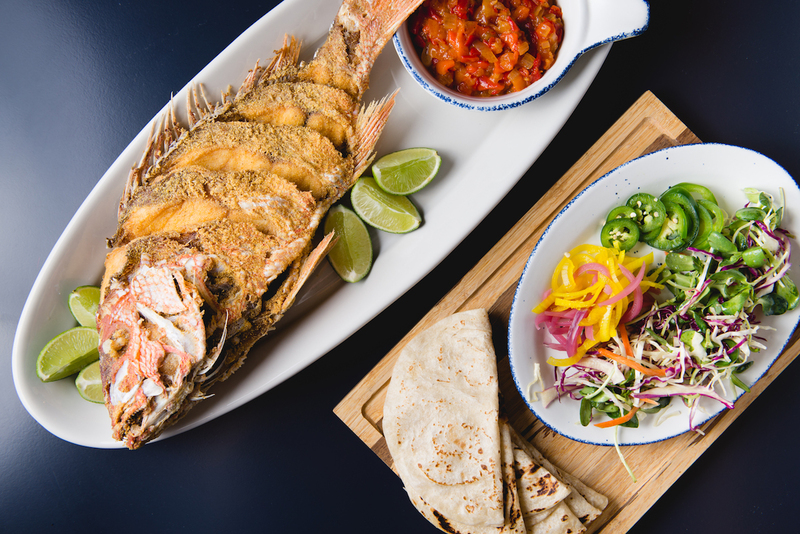 This make-your-own kit includes fried head-on red snapper, along with piperade (a condiment made with sautéed red peppers, onions, and tomatoes), lime wedges, pickled onions, sunflower slaw, jalapeños, and flour tortillas. Serves four to six lucky taco enthusiasts. Make a reservation at Scout. Striped bass spends time over the wood-fired grill. This gets its skin sizzled and smoky, while the flesh becomes tender and succulent. Pickled chilies, kale-ginger slaw, and sprigs of Thai basil complete the pretty presentation. Make a reservation at Farmhouse. Have you spotted any of these whole fish presentations? Let us know here in the comments or over on Facebook, G+, Instagram, Pinterest, or Twitter. And, remember to snap + share your #dishpics with us on Instagram for a chance to win in our weekly giveaway. Photo credits: Rey Lopez (Occidental); Michael Grimm (Il Buco Alimentari e Vineria); Justin McChesney (Herb & Wood).